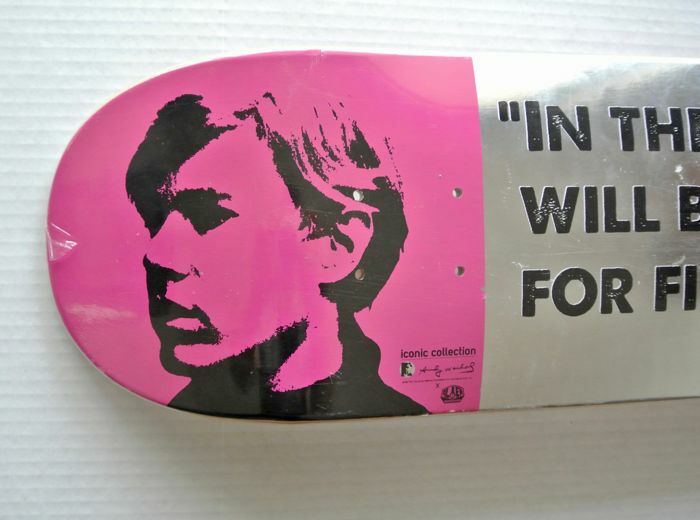 Part of the special Iconic Collection, this collaboration between Alien Workshop and the Estate of Any Warhol merges Skateboarding and Street Art bringing to life the elements of New York City skateboarding subcultures of the ‘80s. 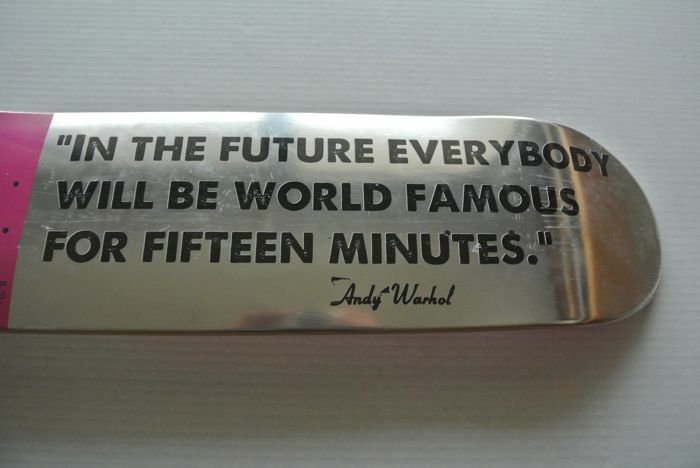 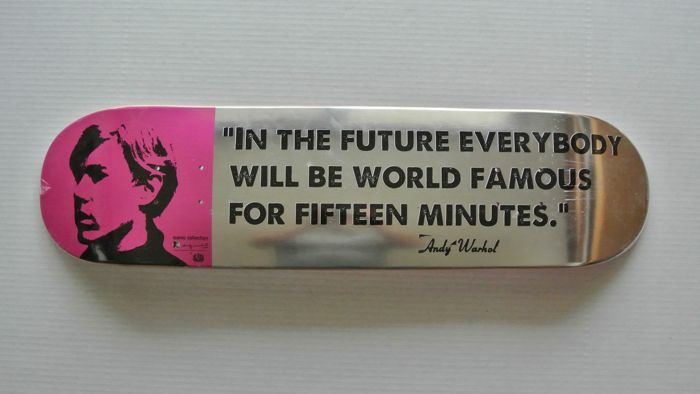 This design features Warhol's portrait and his most famous quote. 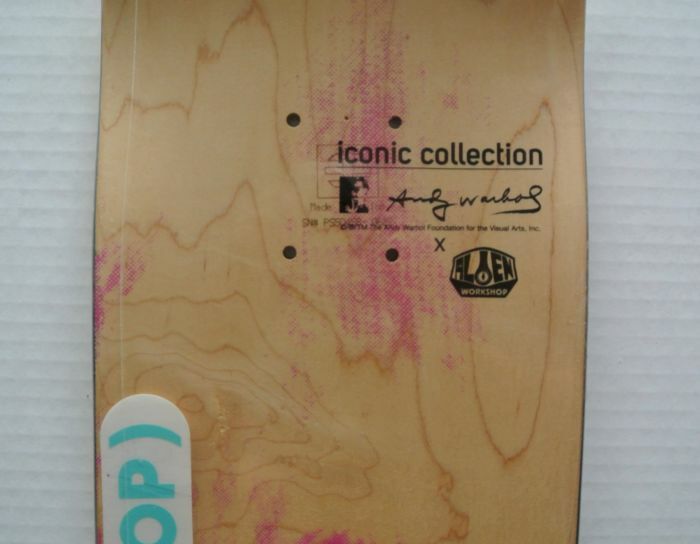 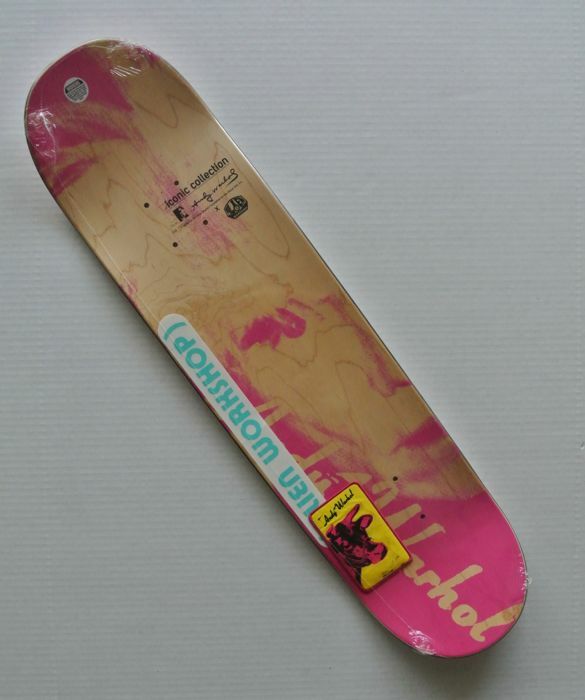 The other side of the board features a stencil of Warhols portrait. 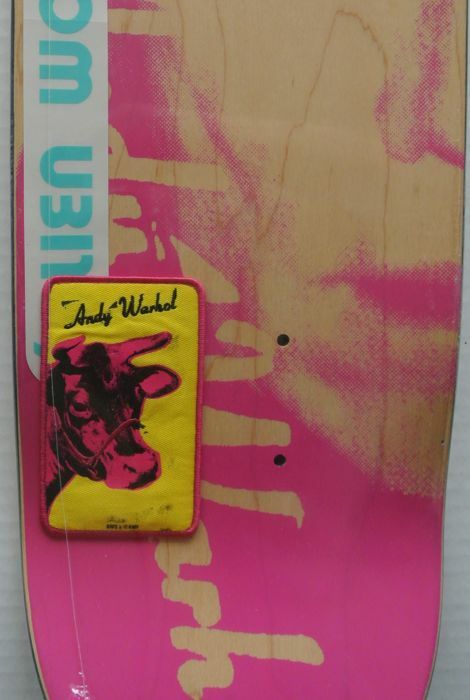 Also includes a Warhol cow patch and Alien Workshop sticker, as issued.